Although the Rose Bowl is known as the home of its eponymous football bowl game, “The Granddaddy of Them All," the stadium has been the site of a wide variety of events. It has hosted five NFL Super Bowl games, the FIFA World Cup, spectacular concerts and even Olympic events. Currently, it serves as the home field for the UCLA Bruins football team. Whether or not you're a sports fan, consider visiting the Rose Bowl for one of its essential events. 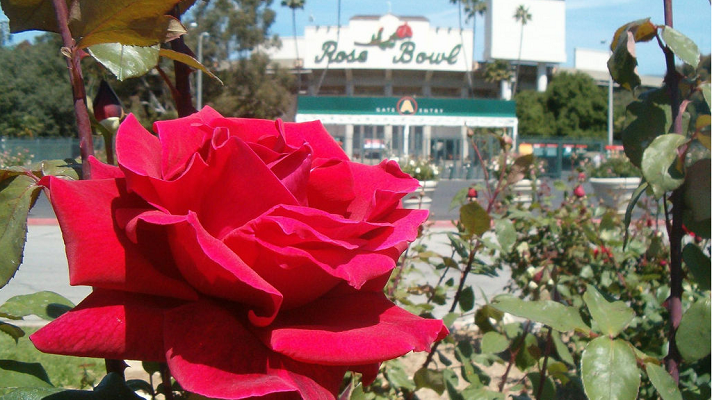 The Rose Bowl game is part of the much-televised Tournament of Roses, a festival started in 1890 to showcase and celebrate a home where the climate was so mild that roses bloomed in the winter. In 1902, the festival added a football game to the float parade and marching bands. As a testament to the game’s popularity, the stadium has sold out every year since 1947, and it has undoubtedly become one of the most anticipated games of the year. It’s impossible to talk about the Rose Bowl without discussing the famous Rose Parade in more depth. After all, few other events warrant camping out on the streets the night before to get a prime viewing spot. Why all the buzz? Because these floats are simply out of this world. Computer animation has created spectacular features: King Kong stomping through the jungle, 60-foot talking robots, a dinosaur playing the guitar. 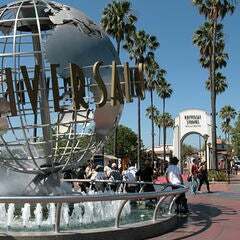 It is truly one of the best places to experience Southern California during the holidays. Of course, it wouldn’t be called the Tournament of Roses without roses, and there is absolutely no shortage of them. Parade floats continue to blossom with approximately 100,000 roses, not to mention all the other types of flowers included. In 2013, the 5 ½–mile parade began at 8 a.m. (PST) on January 1, commencing a 2 ½-hour procession of imaginative flowery floats, spirited marching bands and majestic equestrian teams. Stay tuned for details on the 2014 event. Football players aren't the only athletes who get to experience the Rose Bowl Stadium. The Rock 'n' Roll Pasadena Half Marathon will be held Sunday, February 16, 2014. Participants will run to the beat of live music as bands perform along the route. Cheering spectators will line the course, which begins and ends at the Rose Bowl Stadium. After the race concludes, runners and onlookers alike will celebrate with food and entertainment at the Finish Festival. The Rose Bowl Flea Market has delighted bargain shoppers for more than 40 years. Featuring more than 2,500 vendors and 15,000 to 20,000 buyers every month, the Rose Bowl Flea Market is one of the most famous markets in the world. It is held the second Sunday of every month, with a general admission fee of $8. The Rose Bowl hosts an annual 4th of July Celebration with afternoon events featuring food vendors, entertainment, crafts, exhibits and inflatable rides for the kids. To cap off the night, the largest fireworks show in Southern California lights the night sky over the Rose Bowl. The 30-minute show is choreographed and produced by Pyrospectaculars, known throughout the world for extraordinary fireworks displays in New York, Boston, Thailand, the Philippines and at NFL Super Bowls and the Olympic Games. Ever wondered what it's like on the field? Summer 2013 is the first time the historic 90 year-old stadium will open up to the public for daily guided tours, giving exclusive access to the press boxes, Court of Champions, UCLA locker room, playing field and more.